In this and the next exercise, we'll see how to switch analog signals with the PIC. 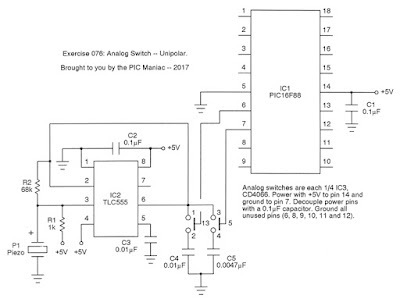 For our first foray, we'll restrict ourselves to simply switching unipolar voltages, and within the +5V limits of the PIC. The ever-trusty CD4066 is employed. The demo is simple, but useful in its own way. 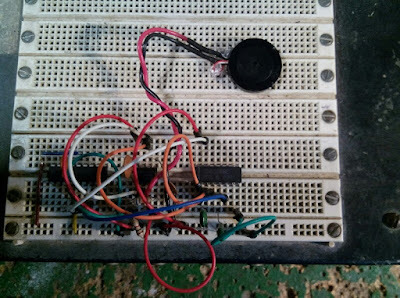 A TLC555 timer (CMOS version of the 555) is configured in astable mode to produce a sound on a piezo. Then we'll coerce the CD4066 to switch the timing capacitor, yielding a 1 kHz tone with one cap, and a 2 kHz tone with the other. The PIC, under PMP software control, alternates between these choices, give a 5 second burst at the lower frequency, followed by a 5 second burst at the higher. 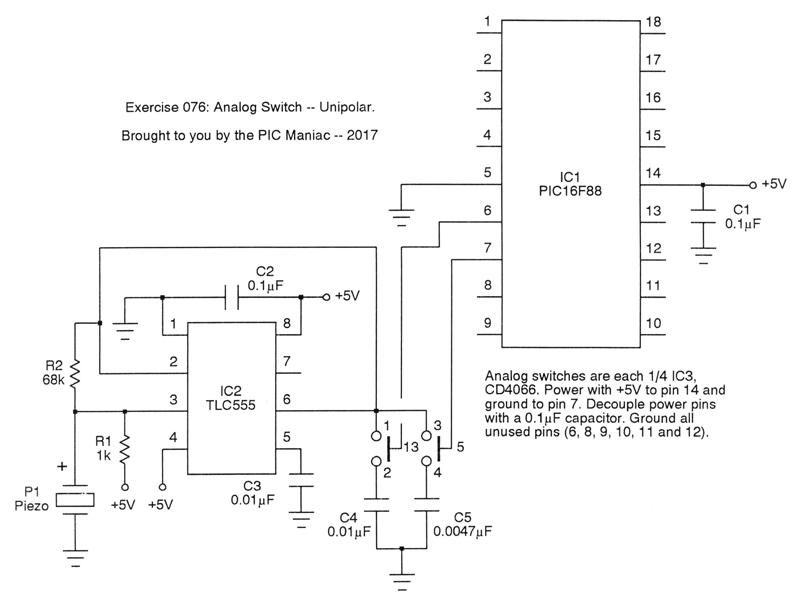 Thus, the analog switch simply chooses which capacitor should guide the TLC555 through its oscillations. 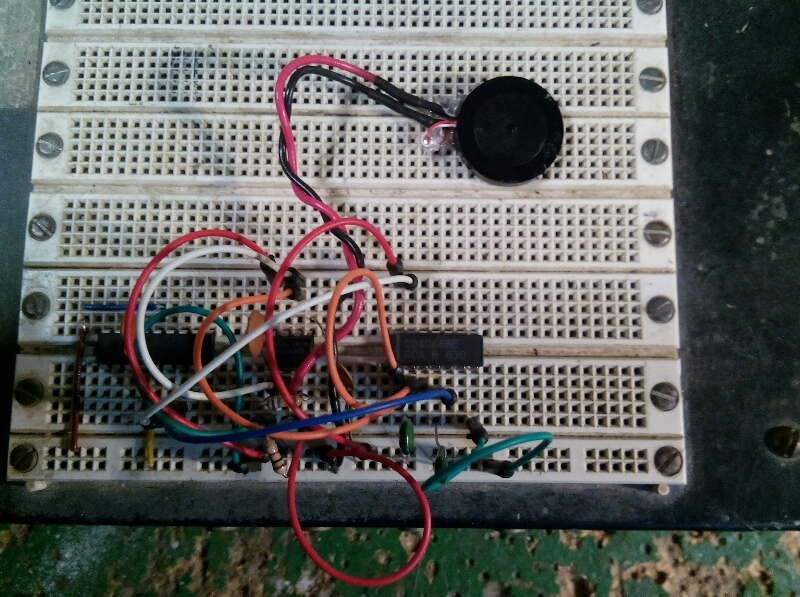 Clearly, all voltage levels are unipolar, riding between 0V and +5V. And, oh, be sure to note the use of the "delays.pas" library unit which gives access to the delay_sec() command. Not a big deal, but kind of handy.